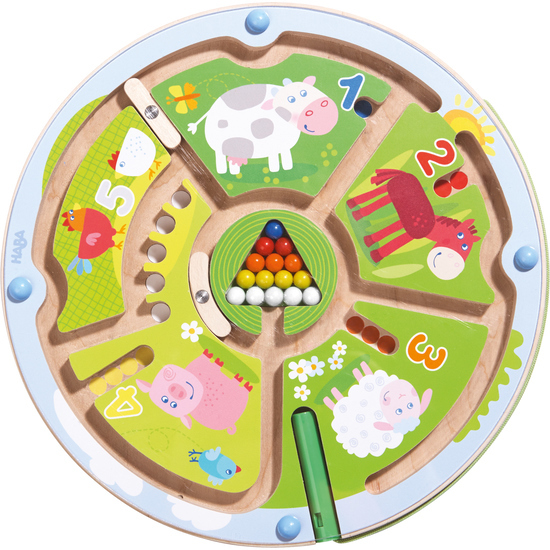 Little animal friends can match the colorful balls with the corresponding animals and numbers. For example, the five white balls turn into chicken eggs in the nest. It's not just alot of fun, but it also fosters motor skills and aids in first comprehension of numbers.